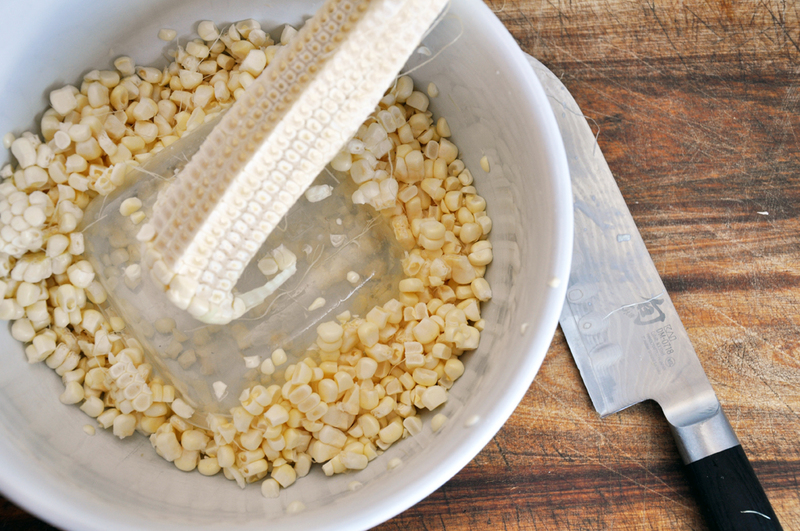 For a quick, easy way to strip corn of its kernels, see the short tutorial on my YouTube channel. Toss the kernels with EVOO and 1/2 tsp salt. Spread in an even layer on a cookie sheet lined with foil. Put the sheet in the oven and lay the pepper on the grate next to the sheet. Broil for 10 minutes until the corn is charred and the pepper is blackened on all sides. Remove from the oven and let cool. Immediately put the pepper in a bowl and cover it. After a few minutes, remove it and peel the skin off. Chop finely and set aside. In a mixing bowl, add butter and sugar and whip over medium-high speed for 3-5 minutes until it lightens in color and is creamy. Add the milk and mix over medium until well-incorporated - scrapping down the sides as needed. On low speed, add the the cornmeal, rice flour, masa, baking powder, chili powder, and remaining 1/4 tsp salt. Mix well and then add the corn and chopped pepper. 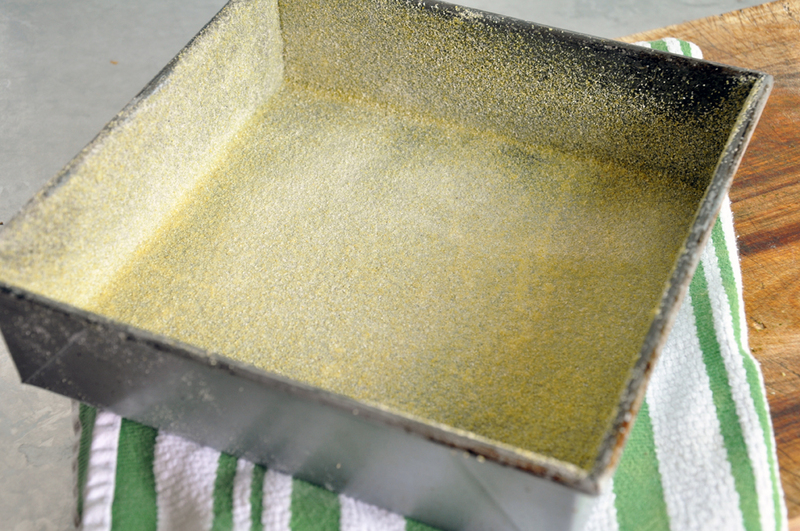 Spray a 9" X 9" pan with cooking spray and dust evenly with cornmeal. 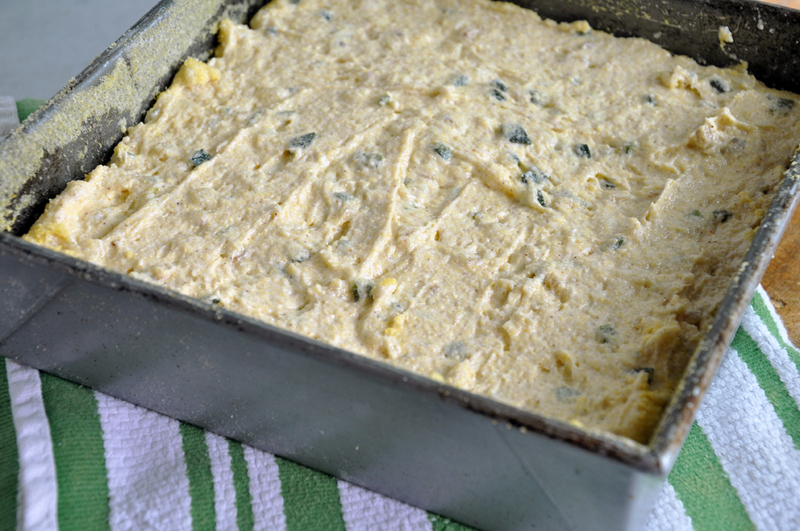 Pour the batter into the pan and bake 30 minutes until a knife inserted into the center comes out clean. Let cool at least 15 minutes, then turn out onto a cooling rack. 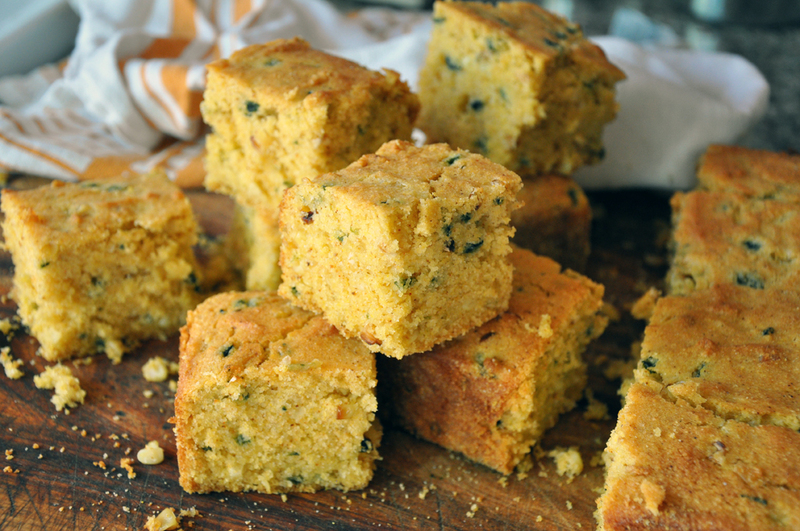 Cut into 16 pieces and enjoy.